Troy Ross enjoyed an idyllic childhood, growing up in Ocean Springs. He has wonderful memories of riding his bicycle down Washington Avenue and taking his dogs for walks throughout the charming little town. “It was long before downtown became such a popular, tourist attraction. I have a unique perspective having seen the area before the transformation took place,” he said. He attended St. Alphonsus Elementary school and graduated from Mercy Cross High school before attaining his degree in Political Science at Ole Miss. In the summer of 1997, Ross enlisted in the United States Marine Corps and was sent to San Diego, California where he began his combat training. Upon returning to Mississippi, he entered college and became a member of the ROTC program during Junior year. He later transferred into the National Guard and joined the SMP program. It is a simultaneous membership which allowed Ross to go through the commissioning process of ROTC while he was enlisted in the National Guard. Ross graduated and was commissioned becoming a Tank Commander and Scout Platoon Leader. Officer training continued in Fort Knox, Kentucky. Ross returned to Oxford, Mississippi, where he was stationed through 2003. In 2004, he received orders that he and his unit would deploy to Iraq. Further training ensued at Camp Shelby in Hattiesburg, Mississippi, until it was time to go. “We did everything over there. Patrolling the neighborhoods, civic actions, providing monetary support, training the Iraqi police and army, as well as escorting Iraqi police to keep them safe in route to their training sites,” Ross said. Fifty percent of the Iraqi population are children under the age of fifteen because the adult population has been decimated. “The kids do without everything. Even the simplest of things, a pencil, will cause a frenzy. They seem to really like U.S soldiers and we tried so hard to help over there and make a difference but only time will tell,” Ross said. When he came back to Mississippi following his tour in Iraq, Ross remained on active duty and became a trainer at Camp Shelby for two years. Using his overseas experience, he prepared the men and women who were mobilizing. “There is so much to learn and be familiar with. It really is a different world over there and preparation is key,” Ross said. In the meantime, he became the Company Commander of Delta Company and continues to serve in the National Guard to this day. In the private sector, Ross dabbled in Real Estate for a short period of time prior to serving overseas in Iraq. When he completed his four year tour of duty and returned to the States, he went to work for Chevron in the Operations department, and remained there for the next four years. The job entailed oversight of all the equipment and processing necessary to refine crude oil, in order to turn it into various products. While working at Chevron, public service became a primary interest and Ross threw his hat into the ring for the office of Alderman-At-Large for the city of Ocean Springs and won. Because of the demands placed on him through public office, Ross decided to leave Chevron. “It was a great job and I loved it but there were so many meetings I had to attend and scheduling them became very difficult, something had to give,” Ross said. He found the perfect balance for his political aspirations by opening his own business, Coast Chem Dry. The carpet and upholstery cleaning company is located in beautiful Ocean Springs. In December 2011, Troy Ross was sworn into office as District 4 Supervisor of Jackson County. His job is to oversee and set the budget for the county. This includes emergency responders such as the volunteer fire department, the Sheriff’s department, and the EOC (Emergency Operations Center) which handles all natural and human disasters such as a chemical spill. The Supervisor also levees the taxes based upon the information provided by the Tax Assessor. 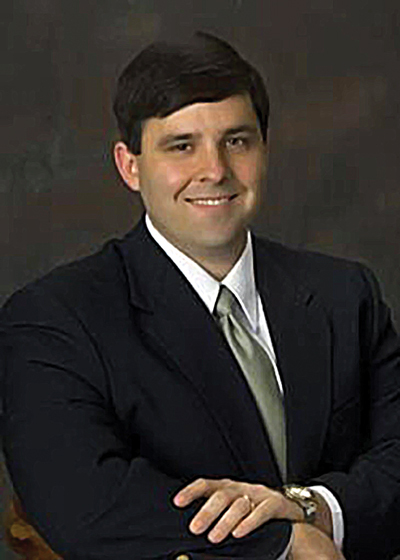 In addition, Ross sets all the policy and often works in conjunction with Harrison and Hancock counties in order to pass legislation. The Board of Supervisors manages all county ordinances, is responsible for paving roads, building bridges, and handles anything that has to do with the functioning of the county government. The Board of Supervisors proclaimed the month of October as Domestic Violence Awareness Month in Jackson County. One of the newest improvements implemented for Jackson County residents are the recycling receptacles. They are much larger than before and are easy to manage because they are on wheels and they also have lids. The sanitation director has reported that there is a huge increase in recycled materials available for pick up since the new recycle bins have gone into affect. “I have noticed when i’m driving through the neighborhoods that every house has a bin out front on trash pick up days so obviously people are pleased with the change. The old box type were barely used. This will also save the county a great deal of money,” Supervisor Ross said. There are several projects slated to begin in 2014 in Jackson County. The site for the new Soccer Complex is being prepared so construction can begin soon in St. Martin on Lemoyne Blvd. Property is being purchased at the intersection of Old Fort Bayou Road and Yellowjacket which is expected to be completed in the next few months. The intersection is a very dangerous curve at this point, responsible for many serious accidents. The curve will be replaced with a straight roadway which will have a traffic signal, and a standard intersection. “If we really put our minds to it and roll up our sleeves, Jackson County has the potential and the resources to lead Mississippi and perhaps the nation. We do things right down here and I can see us being the model for other areas to emulate. We have the natural beauty that is like nowhere else, we have the casinos, beautiful museums, and amazing wildlife. I think Jackson County is a magnet and will put the Coast over the top, we have the full spectrum here,” Ross said. Jackson County is the most industrial county in the entire state of Mississippi. Supervisor Ross has been happily married for nine years to his wife, Lauren, and is the father of two young children, Joseph and Sophie. The family enjoys doing everything together, especially spending time time at the YMCA and playing soccer. Troy and Lauren are big football fans, and nothing beats an Ole Miss game. Congratulations to our Go To Places Monthly Mover and Shaker for November, 2013.